READY FOR ANOTHER INTERVIEW FEATURING A HH COUPLE THAT CRUSHES FITNESS TOGETHER? ERIK AND STACeY STARTED HEALTH HOUSE TOGETHER IN 2014. SINCE THEN, THEY HAVE CRUSHED FITNESS GOALS AND WELCOMED A BABY TO THEIR FAMILY! STACeY ATTENDS CLASSES 7-DAYS A WEEK AND TOOK THE 6AM CLASS BEFORE DELIVERING THEIR DAUGHTER, LANDRY. 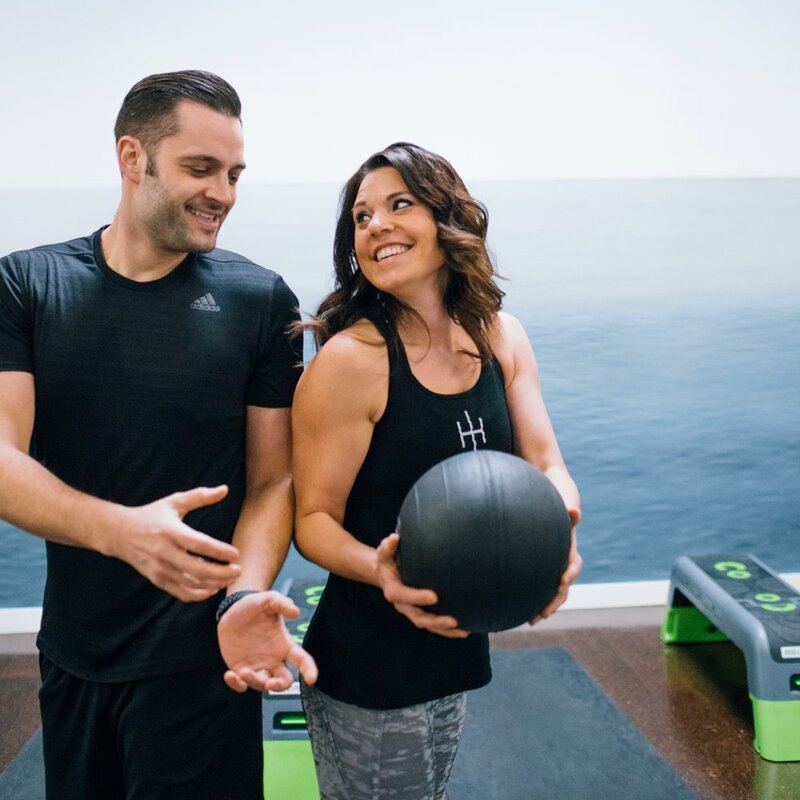 SEE HOW Erik and Stacey balance parenthood and fitness as a couple that rows together! 1. How has working out together bonded you as a couple? Prior to starting at HH, I worked out on my own and Erik didn't really work out. It was hard to find a way to nicely nudge him into working out as we got to the point where were both actually needed it to fight off the weekend's bad decisions. When we found HH, we saw that is was something we could do together and it definitely helps to have a partner to hold you accountable for those 5:30 am wake up calls. It is also one of the things we do together on a regular basis. While we have lots of things we do together, some I do to appease Erik and more Erik does to appease me, this is one activity that we both love and don't have to bargain for to get the other to participate. 2. What do you love about working out together? The accountability! I think we can all make excuses for why we don't want to show up at class, we build each other up even if sometimes it is just to get out the door to class. Weights. I miss a good 'ol Ripped or Med Man class. I secretly get a little excited when I walk in late to class (because of the baby trade off) and the only spot left is the spot with no rower. My guess is that Erik will say rowing. On the rare occasion that I can get him to work out on vacation, the rower is his machine of choice. 4. How has Health House impacted your relationship? It has definitely helped us get into a routine which carries over to other aspects of our lives. My Type A personality loves this! 5. How has Health House impacted your overall health? We are both much healthier than when we started HH in late 2014. I think one of us has lost weight, the other likes to think she is "gaining muscle". It weighs more than fat, right? HH, the early mornings, and let's face it, the $10 no-show fee, keep us from making poor eating and drinking choices during the week and avoiding that random Happy Hour that lasts until midnight. We have seen the difference it has made in our bodies and we are both committed to remaining in good health.